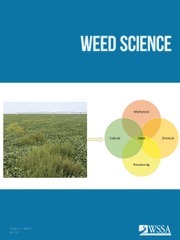 A new research study published in the journal Invasive Plant Science and Management tackles those questions and provides insights that can benefit land managers. Researchers from Miami University investigated the relative importance of seed dispersal, canopy disturbance, and soil disturbance on four invasive species growing in a mature Maryland forest: wine raspberry, Japanese barberry, multiflora rose and Japanese stiltgrass. They found that proximity to ‘parent’ plants already fruiting in the community was a significant predictor of where wine raspberry, Japanese barberry and Japanese stiltgrass established. Not enough seed sources were found to determine the impact of seed dispersal on multiflora rose. Gaps in the forest canopy were linked to the establishment of both multiflora rose and Japanese stiltgrass. Canopy gaps also promoted fruit production by Japanese barberry and wine raspberry, which interacted with seed dispersal to increase the number of new plants in gaps. Soil disturbance was an important predictor only in the establishment of Japanese barberry. 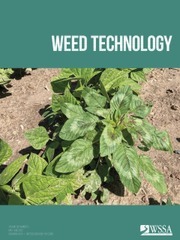 The net takeaway: If you are battling invasive plants and find seed production or seedling growth is strongly associated with new canopy gaps, you can target your control efforts on those areas with a high likelihood of success. Want to know more? 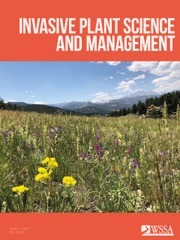 You can read the article “Seed Rain and Disturbance Impact Recruitment of Invasive Plants in Upland Forest” in Volume 11, Issue 2 of the journal Invasive Plant Science and Management.